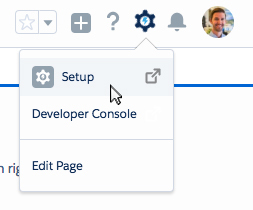 In order for some Propertybase features to work correctly, a public API website must be created in your account. This provides a secure way for features like webservices, email unsubscribe and lead routing to access your account, externally, without a username and password. Follow the steps below to configure a public API site for your account. Note: Throughout Propertybase documentation we use the terms "Public API" and "Webservices" interchangeably. Click the gear icon in the top right of the screen, then click Setup. Type 'sites' in the Quick Find menu, then click Sites. On this page we will register a Force.com domain for your organization. This domain will be used for other features in Propertybase, if configured. For this reason it's important to choose a name that is relevant to your organization. We recommending using the name of your company or brokerage. If that isn't available, keep it as close to your organization's name as possible. Note: In this article we will register and use the domain 'pbexample'. Whenever you see this, use the domain name you registered instead. Choose a domain name and then click Register My Force.com Domain. Click New next to Sites. 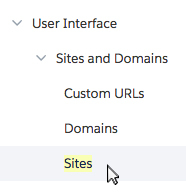 For site type, select Guest User License. Note: If you don't have the option to select site type, simply continue with the next step below. Note: Make sure you check the box next to 'Active' as shown in the image above. Next click Public Access Settings. Under Apps, click Apex Class Access. Next to Apex Class Access, click Edit. Using the Add button, move pba.PublicRouteDispatcher to the Enabled column. Click Profile Overview to return to the main screen. Click Site Guest User, Propertybase Public API. Note: Your site may have a different name than "Propertybase Public API". Scroll to the bottom of the page and click Assign Licenses. 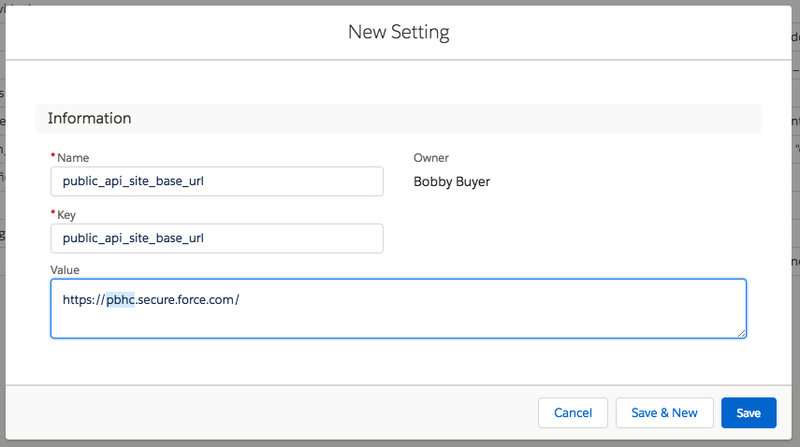 Toggle the checkbox next to Propertybase V3. Now we need to return to the sites page we started on. Right-click the site URL and copy it to your clipboard. Click the app launcher in the top left of the page. Click New in the top right corner of the screen. Using the screenshot below, create a new setting. Name and Key enter "public_api_site_base_url"
Note: For "Value" use the domain you just copied to your clipboard, but remember to append ".secure". See the image below for an example. "HTTPS" is required. Done! You have successfully configured a public API site for your Propertybase account.